First I thought running the NVIDIA binary driver 304.37, which now supports xRandr 1.3, would cause some trouble but I was wrong. 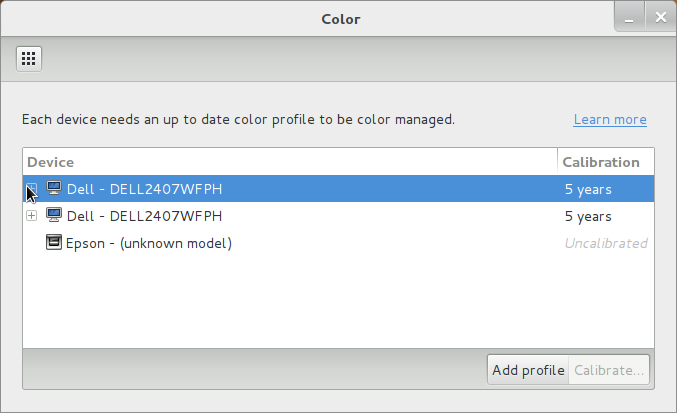 It appears that the mix of colord and gnome-color-manager is kind of broken in openSUSE 12.1 as this bug report shows. 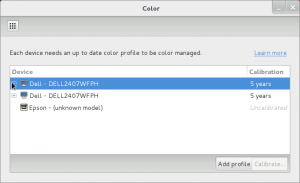 The reason is that the security settings for polkit had been set to require authentication as administrator for any action related to color management. This caused a lot of dialogs to popup and the authentication to fail at all if no GNOME session was running yet either. This fixes the issue and displays properly show up and can be used without any authentication dialog for users! Color managed displays with NVIDIA binary drivers on GNOME, finally! The changes are already in openSUSE 12.2 where this issue is fixed.